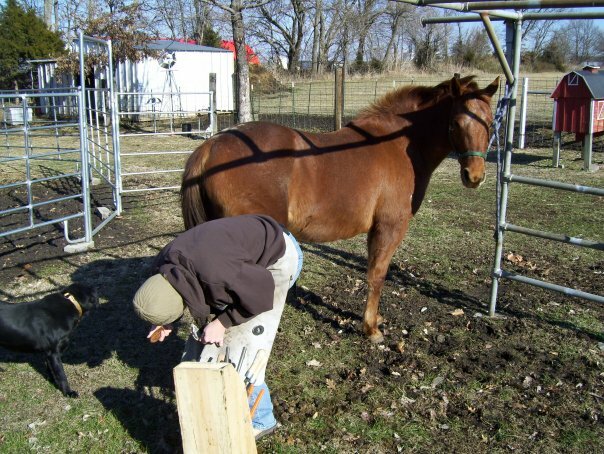 O'Rear Horseshoeing is also offered at O'Rear Farm. BWFA certified farrier, Christina O'Rear, does hot and cold shoeing, pathological shoeing, and forge work. Also she is train in using Vettec. She graduated from Shur Shod Horseshoeing School where she learned from the best in the business. If you bring the horse out to our place to get shod or trimmed it is $5 off per horse. We shoe and trim any breed from minis to large horses!! !